They can grow up to 30 cm / 12 inches fully grown. 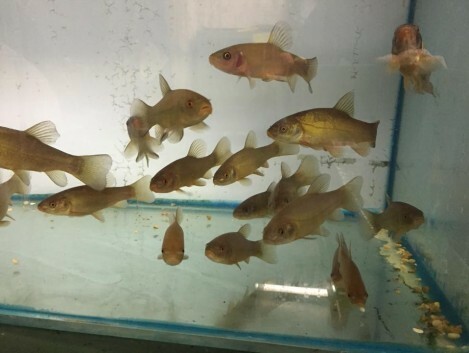 The live in water parameters of PH range 6.0-8.0, and temperatures of 12- 25 Celsius / 55-77 ° F.
Tench are very shy fish, and may take some time to adjust to being in a pond. They can settle more easily if you have them in pairs or groups, and provide more planted area for them to hide. They are a peaceful fish so mix well with any pond fish. 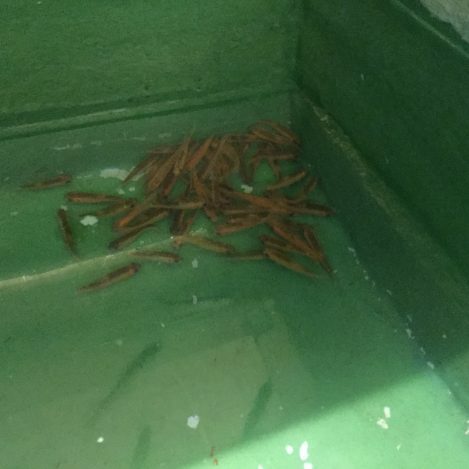 They eat off the bottom of the ponds so feeding sinking pellets is best. However if they are hungry they will take food off the surface. 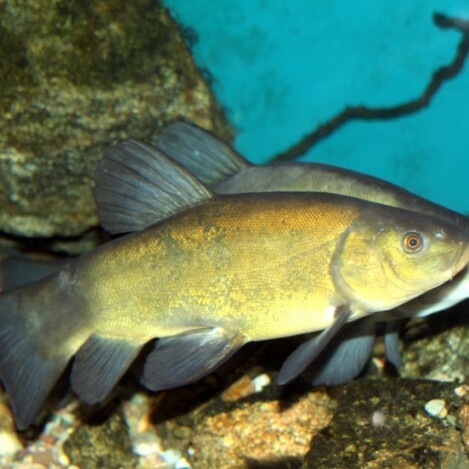 Tench are a bottom feeding fish they need a sinking food. Pellets, granular, sticks or flake are always good for them. In the winter feed a low protein food or usually don’t feed them at all if you cant see them moving much at the bottom of the pond. They require feeding once maybe twice a day in the summer. 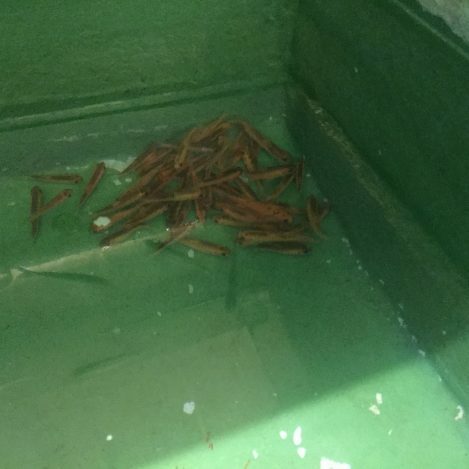 Kockney Koi Sturgeon And Tench Pellets.